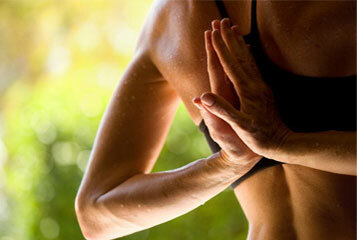 Sumits Yoga Memphis is the premier yoga studio in the greater Memphis area. It is unique in that our classes are designed for all levels, beginner through advanced. Our practice is a hot yoga practice- the room is intentionally heated to warm muscles and allow students to work deeper and safer. This addicting style of yoga not only energizes and detoxifies the body and mind, it also moves at steady pace keeping students engaged. With early morning, afternoon evening, and weekend classes, our clean and spacious studio is located conveniently between East Memphis and Germantown with easy access to the I-240 loop. Our yoga class is designed as a mixture of traditional Hot 26 yoga and Ashtanga vinyasa flow conducted to current top hit music with everyday poses that are body toning, mind centering and heart expanding. Each yoga session aims to strengthen the core, increase flexibility and restore balance—all while you sweat out toxins, increase your blood flow and flush fat. There is no other hot yoga class like this in the greater Memphis area.